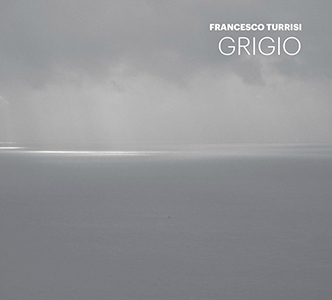 GRIGIO by name and understated cover art, but colourfully overflowing in atmosphere, musicality and originality, this eclectic release by Italian-born Dublin-based Francesco Turrisi celebrates and interprets the varied hues of Irish, Italian and Hebrew music. Pianist and composer/arranger Turrisi assuredly directs this diverse collection, encouraging both close ensemble playing and individuality from his outstanding instrumentalists – Nick Roth (soprano sax), Kate Ellis (cello), Dan Bodwell (bass) and Sean Carpio (drums), plus guest Zohar Fresco (frame drums, percussion and additional vocals). The gleaming, crowning jewels in this project are two contrasting vocalists – Irish traditional singer Róisín Elsafty and multi-genre songstress Clara Sanabras – each bringing their particular warmth and character to the songs contained within the ten-track album. Advancing straight to Turrisi’s title composition, Grigio, one immediately senses the subtlety and invention to be discovered here. Over a slow, mysterious piano ostinato (vaguely reminiscent of Soft Machine’s ‘The Tale of Taliesin’ from way-back-when), the mesmeric weaving of closely-toned cello and sax combined with expressive drums/percussion creates an arresting, spatial soundscape. John Zorn’s Hadasha employs similar patterns (though with a different, more upbeat hook) to coax the most striking guttural, hard-blown screechings and complex percussive improvisations to Turrisi’s ground bass and bright internal piano-string tracery. Indeed, the instrumental explorations are such that, frequently, it is difficult to discern the origins of the unusual blends of sound, making the experience all the more compelling. Che si può fare introduces the sumptuously-ornamented voice of Clara Sanabras, bringing a special kind of theatre to the Italianate descending-bass motif of the piano trio (Turrisi, Bodwell, Carpio) – beautifully expressive throughout. The ingeniously long, sustained, overlapping EBow/piano technique demonstrated in traditional Irish tune Eleanór a rún creates an ethereal canvas for the pure, crystal-clear folk singing of Róisín Elsafty, as if ebbing and flowing beneath the calm of early morning mists. Elsafty’s diction and phrasing are magical… time seeming to stand still for these all-too-brief six minutes. Nick Roth’s reverential arrangement of traditional Hebrew melody Maoz tsur, featuring his lachrymose soprano sax embellishments and Fresco’s synagogue-suggested wordless vocals over piano, cello and frame drums, lead to an ancient Irish lament, Síle Bheag Ní Chonnallainí, Turrisi providing sensitive piano accompaniment to Elsafty’s beguiling lyricism. Clara Sanabras illuminates early baroque composer Tarquinio Merula’s Canzonetta spirituale sopra la nanna, Bodwell’s repeated flexing bass a key element; and Sanabras’ voice also animates a Stefano Landi madrigal, Augellin, the leader offering considerable pianistic impetus as well as considered, deliberate soloing. The rhythmically gentle motif of Turrisi’s own Tu ridi repeats with finely balanced piano, cello, voice and sax, though also surprises with some satisfyingly unexpected harmonic turns. Concluding, Róisín Elsafty’s reassuring, hushed vocal to Gaelic lullaby Seothin seó is quietly enhanced by Francesco Turrisi’s so-delicate pianistic ‘rocking’… bringing a particularly touching eventide glow to a recording of genuine beauty and refinement. Launching in the UK at The Vortex, London, on 10 February 2014, followed by UK release on 24 February, ‘Grigio’ is available from Diatribe Records, Ireland’s foremost record label for new music.